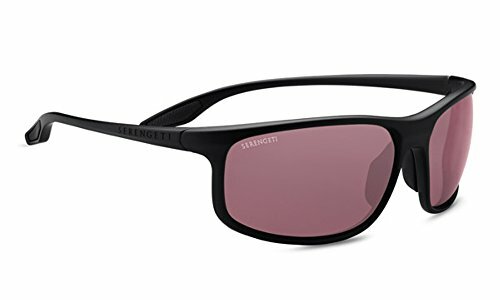 The Serengeti polenza sunglasses have the unique ability to be both sporty and elegant. Hey are constructed of nylon TR90 combined with a touch of rubber on the temples, making them ultra-light weight and secure. The rubber inserts and adjustable nose piece keep the frame firmly in place so you can enjoy your activities worry-free. The sleek sport design of the frames and attention to detail provides comfort and ensures durability. Using only the highest-quality injected nylon for superior durability, these fashionable frames have the added benefit of being exceptionally light, chemically resistant, extremely flexible and comfortable.